I had decided to start a very brave coffee-less walk from King’s Cross, along the Regents Canal, in the hopes that the Camden Lock Market, which I would find along the way, could fix the issue. My attempts at searching for a place to work at, with a proper cappuccino on the side, hadn’t been very successful that morning. Nevertheless, the Regent’s Canal looked promising in all it’s picturesque features, with green all around and some astonishing architecture to catch a sight of. That walk was certainly one of the favorite things I’ve done in London. However. When I got to the Camden Markets, my eyes started hurting because I could see nothing short of a tourist trap. This site, once an important hub for counterculture between the 70’s and the end of the 90’s, has become a tourist circus – a parody of itself. It sells cheap, bad quality goods coming from god-knows-which-sweatshops, it is home to fast-food chains, and it is now the 4th biggest “tourist attraction” in the city. So, not impressed. I continued walking along the canal, the landscape turning more and more beautiful. The weather was sweet: it was spring warm, and a fresh breeze made the march all the more pleasant. I reached the Regent’s Park, where I went for a quick stroll. Watching the couples and groups of friends in the park made me feel progressively lonelier, and I went back to the canal. The park felt too spacious, the canal gave me, at least, some sense of direction. But I had no clue where I was heading to: looking at the maps along the way didn’t help much, and I had no wi-fi to google search anything. Should I go back to Camden? Should I take the bus home? Should I just keep on walking? I felt vulnerable and anxious, which might sound quite ridiculous if you know London at all. But the thing with anxiety is, rationality might not help you much, or the fact that you’re a seasoned traveller (yes, I was in an European city, yes I have travelled completely alone before, yes it’s London, and wherever I might find myself at, it will never be too far from safety). I always deal with a certain degree of anxiety at some point in my solo travels, as most people, I guess. Now that I’m recovering from a burn-out, this has become more of a pressing issue, and the only thing I found out might bring me some sense of relief when things get suffocating is to stop and meditate for a bit. So I took my shoes off, sat down on a bench, and set my Headspace app on for a 10-minute session. I closed my eyes, tuned into the sound of the hushing tree leaves, and I occasionally heard people coming and going, and the cyclists, and the boats passing by. I remember this alone already felt comforting. When I finally opened my eyes and got up, the world was a bit lighter. Walking shoeless, my feet stepping on the warm stones, taking me to an unknown direction, unexpectedly helped me connect to the moment. I approached this gate depicting figures of animals, a house, bottles of wine, under the name Regents Canal. I stepped in, unsure if I was entitled to do so. Ahead of me, a narrow pathway. On its left side, a row of colorful wooden houseboats multiplied itself along the water, amidst bushes, creepers, and flowers. On the right side, a display of arts and crafts, a paraphernalia of funny objects, here and there a sort of domestic space with table and chairs cozily displaced as an outdoor living room. There were bookshelves, cushions, decorative thingies, but also life buoys, bikes, garden rakes. The place was a fairytale. I got lost in there, walking back and forth, taking pictures, contemplating, totally fascinated. Walking further, I saw a man in his tiny yard, busy with a sculpture. I approached him and asked if the area was private property; if I was allowed to actually be there. He explained that we were at a mooring; even though the boats were private property, people could cross the area through that pathway. He talked calmly, with a very soothing voice. We engaged in a conversation about the community of people living at that site, and at the other two moorings nearby, located in Camden and Little Venice. While we conversed London, I sat down to take a rest, and at a certain point, a greyhound came out of the man’s boat. As I stroked his back, he started licking my feet. The man sat down by my side, “there are people who continuously cruise the canals, parking here and there temporarily, in order to avoid the high council’s taxes”. James was a skinny man in his forties, a self-entitled “loner”, the owner of an antiquity shop in the area. He was restoring a Chinese sculpture of a lion, which used to stand in front of a restaurant. “It is a gorgeous piece, but noone cared about it so it was in a very bad state. People used to sit on it, pee on it”. We kept chatting, and the conversation turned to mindfulness, Buddhist-inspired principles, and the likes. I told him a bit of my story, and of how I had been meditating daily for around one month, something I had started doing out of pure necessity, during the highest peak of anguish and fear I remember having to deal with, in years. He listened attentively. 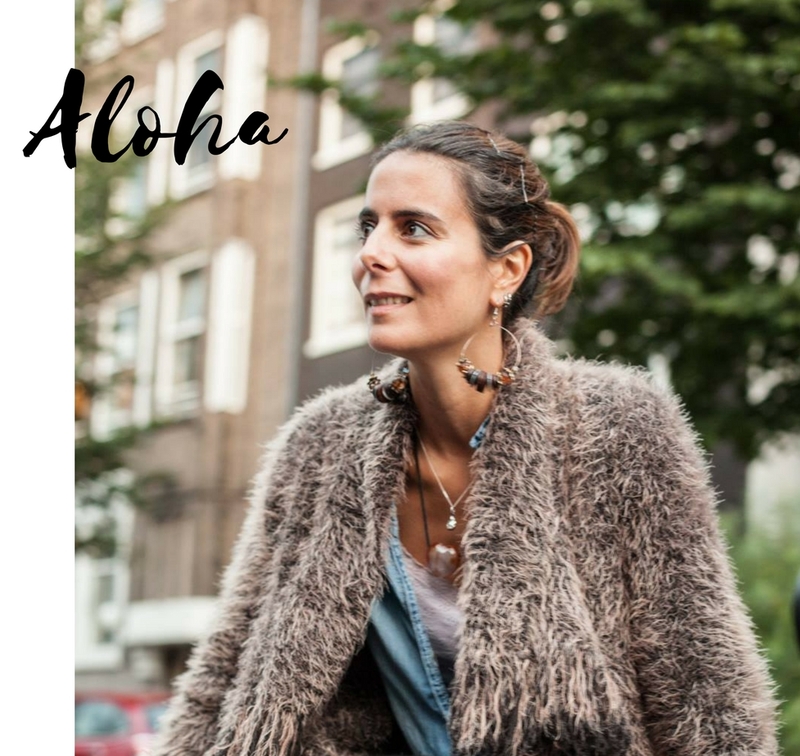 I explained how I had become so strict and goal-oriented over the past year in Amsterdam, constantly busy, and running, and demanding things from myself. How I needed to let go of a mindset which doesn’t serve me anymore, which had led me to a state of anxiety and fear. How my main intention now, before anything else, was to simply being able to be in the moment. He smiled, as though my story was familiar. “It sounds like you’re on an inner journey. So this is actually a double journey for you”. When I felt the time to go had come, I thanked James for his time and kindness. He thanked me in return, while patting the dog. “It was a very pleasant conversation”. I left the mooring with a feeling that the unexpected encounter with this stranger had healed something in me. I realized that the anxiety had vanished and that I had totally surrendered to the moment. I was smiling from the inside out. Without having a clue of what I was doing, I had actually arrived to the place where I needed to be. The best things happen when you let go. And this sentence of José Saramago just popped up into my head: “Sempre chegamos ao sítio aonde nos esperam” / “In the end, we always arrive at the place where we are expected”. Want to read more stories? You can follow Amsterdive on Facebook for all updates. Note: I have been doing daily Instagram stories on adventures (and non-sense), which you can check out here. Previous postLondon diaries I: OH. wow.